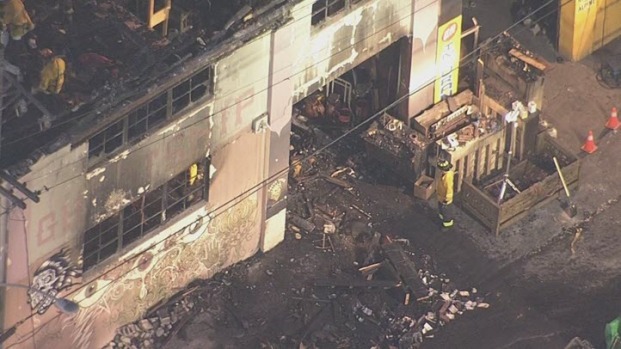 Flags will be flown at half-staff at all Alameda County facilities starting Monday in honor of the dozens of people who died in a warehouse fire in Oakland on Friday night. 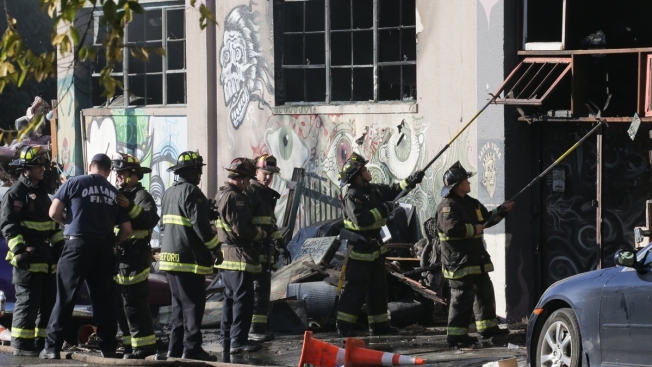 Alameda County Board of Supervisors president Scott Haggerty ordered the flags to be lowered following Friday's tragic fire in which at least 36 people died at a party held at a warehouse at 1305 31st Ave. in Oakland's Fruitvale district. "Our entire community is grieving over this unspeakable tragedy," Haggerty said in a statement. "On behalf of Alameda County, I extend my condolences to the many people directly affected by this devastating fire." Authorities said this morning that the death toll is expected to rise since only about 70 percent of the building has been searched so far. Search operations were halted at the site overnight because of concerns about the structural stability of the building. Haggerty thanked the first responders from several agencies who responded to the scene. He said he will also recommend that the county reactivate its Disaster Relief Fund to enable county employees and community members to make cash or online donations to victims of the fire. The county's Disaster Relief Fund was initially established following the terrorist attacks on Sept. 11, 2001, and has been reactivated for several tragedies worldwide, including Hurricane Katrina in 2005, earthquakes in Haiti and Chile, and the mass shooting in June at a nightclub in Orlando, Florida.